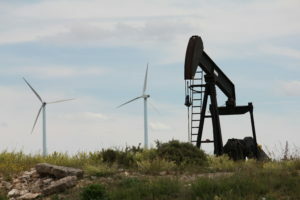 Two Energy Industries: Competing or Working Together? Welcome and thank you for visiting this site. The intention of this blog is to be an online platform for me to write and share articles. I hope to inspire people or give them more granularity on how I see and have experienced the world. It’s meant to be an information source to allow folks to learn more about the oil and gas business and to promote my company and brand. I’ll also discuss geoscience, which is a love of mine, and will share things which give me inspiration. This blog is part of my media marketing department which is currently expanding. I encourage you to follow my company and me and perhaps we can work to invest in oil and gas projects together or in parallel. I’m a petroleum geoscientist with 16 years of industry experience working for California E&Ps, Venoco, Inc. and Occidental Petroleum (NYSE: OXY), now California Resources Corporation (NYSE: CRC). I currently live in Orange County, California. I’ve also worked for international E&Ps, Santos, Ltd and BG-Group (now Shell). I have been fortunate to work domestically in the United States in California and Colorado as well as internationally in Australia and the UK. This new company of mine is multifaceted centered around the oil and gas industry. It is a big leap and something I’ve worked towards my entire career. I see the opportunity now to launch it. I’m also a consultant and can offer to advise on many aspects and can provide geological evaluations of properties to help with investment decisions. Please contact me at any time. I look forward to any comments.